Originally, when the International Telecommunications Union (ITU) determined what was considered 4G, LTE, WiMAX, and HSPA+ did not make the cut. However, operators began using ‘4G’ term for LTE WiMAX and HSPA+ as they started commercial roll outs, making ITU to reconsider its position. 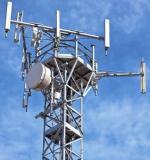 ITU wants mobile operators worldwide to quickly deploy IMT-Advanced based mobile broadband network. In addition it is also urging governments to slash or even abolish onerous taxes on ICT equipment and services that could stifle the future growth of the mobile sector. Specifications for next-generation mobile technologies – IMT-Advanced – have been agreed at the ITU Radiocommunication Assembly currently meeting in Geneva. This 4G Americas white paper explains the evolution of 3GPP technologies and the ITU roadmap that leads to IMT-Advanced and beyond. The Telecom Regulatory Authority of India (TRAI) has released a consultation paper on IMT- Advanced Mobile Wireless Broadband Services.